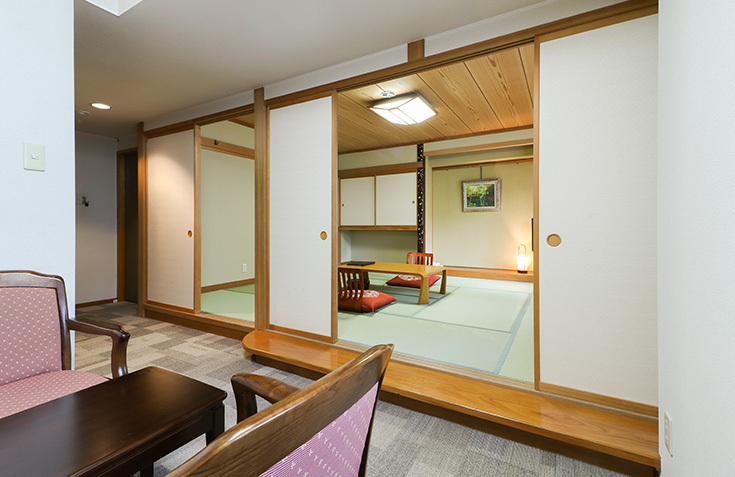 Hotel Shirakabaso has 3 types of guest rooms: Japanese-style rooms (standard: 8 tatami mats / deluxe: 10 tatami mats), Western-style rooms. 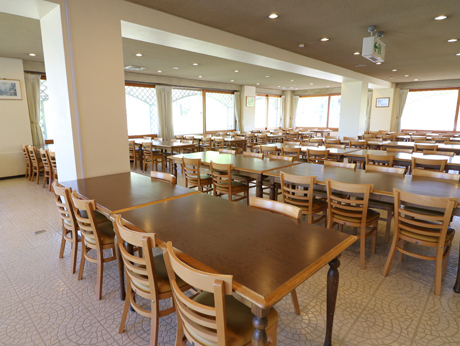 *The photo and the floor plan are examples. 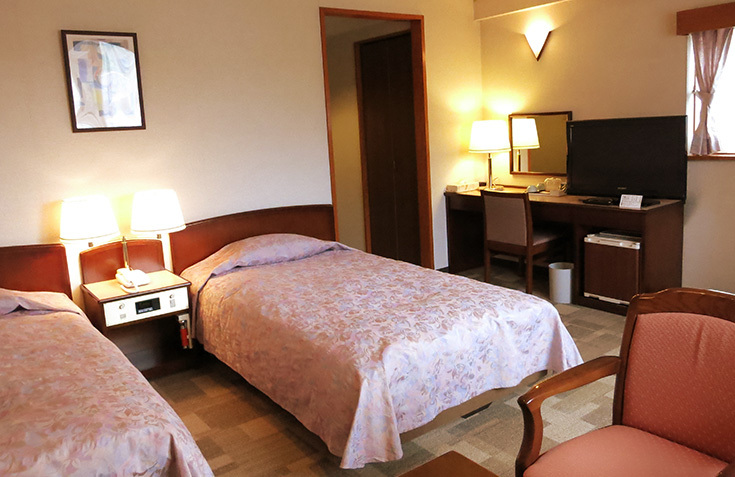 In accordance with our guestsʼ opinion and the recent social circumstances about smoking in the hotel rooms, Hotel Shirakabaso has decided to start no smoking in all our guest rooms from April 2016. For regular smokers, we would like to request your understanding about no smoking. Thank you very much for your cooperation about no smoking in the public space such as the dining rooms and the lobby of our hotel from several years ago. 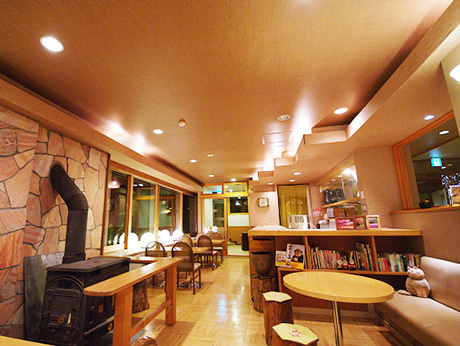 “The Smoking Room” is equipped in the lobby near the hotel entrance. 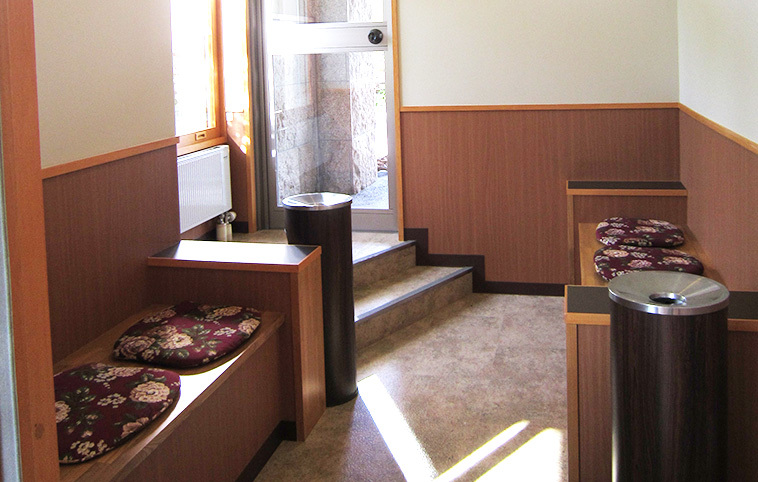 We have been trying to keep comfortable and relaxing smoking space for regular smokers. 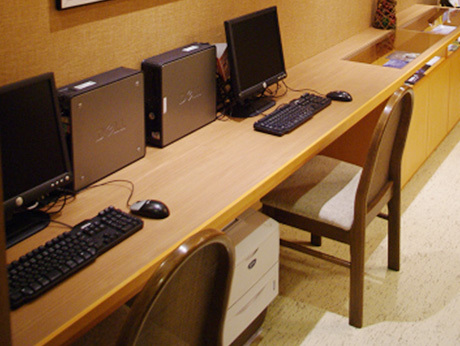 We do our best to provide both no smoking and regular smoking guests with comfortable environment in our hotel. 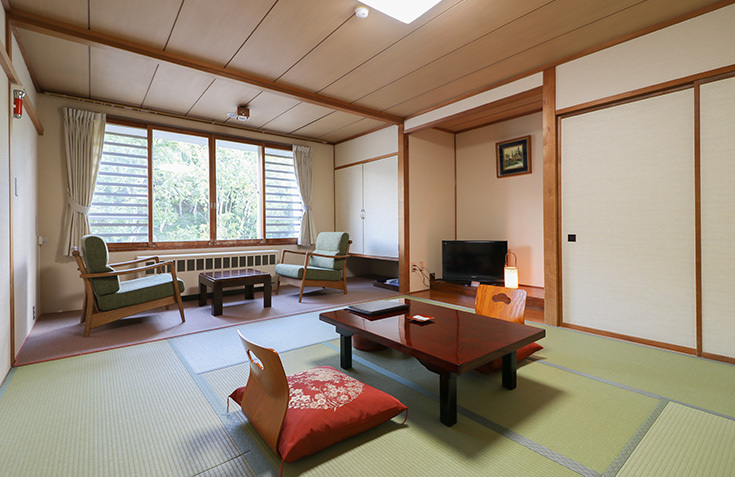 There are 4 types of Japanese style room with 10 tatami mats. 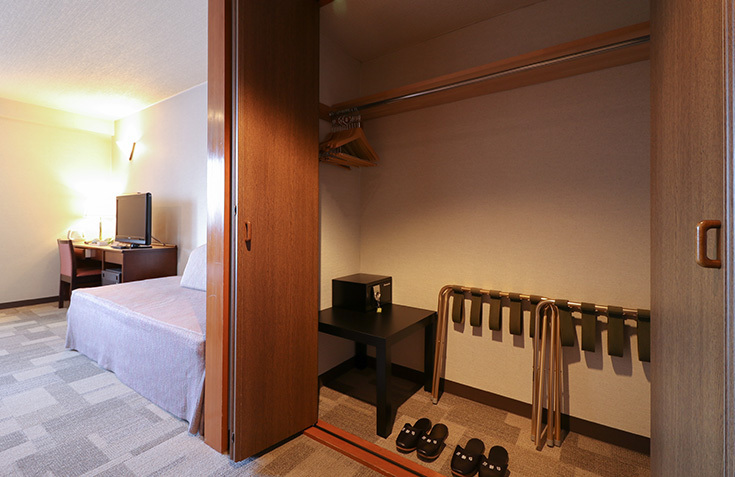 The rooms are equipped with windless clean type heaters. The rooms are not equipped with coolers. 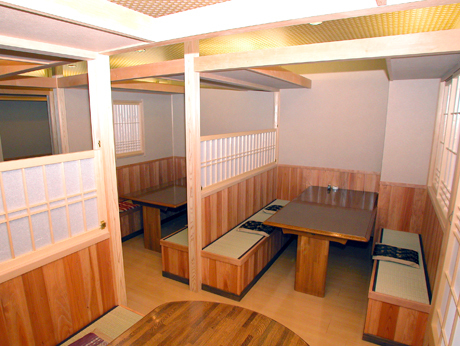 The sizes of the rooms range from 32 to 40 square meters. 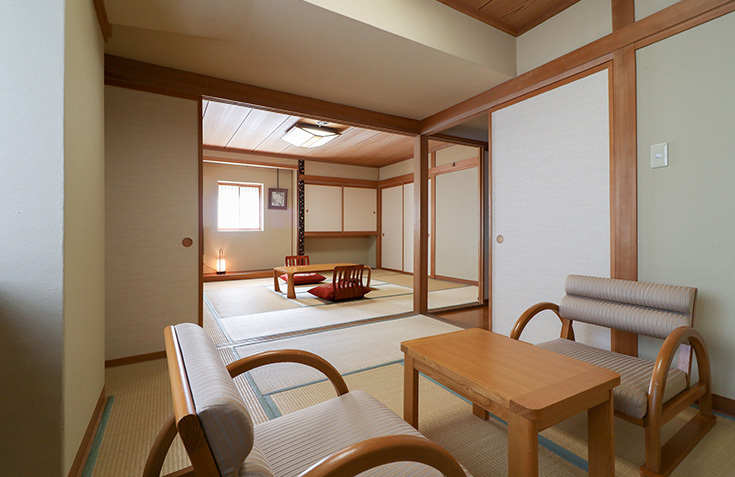 There are several types of Japanese style room with 8 tatami mats. 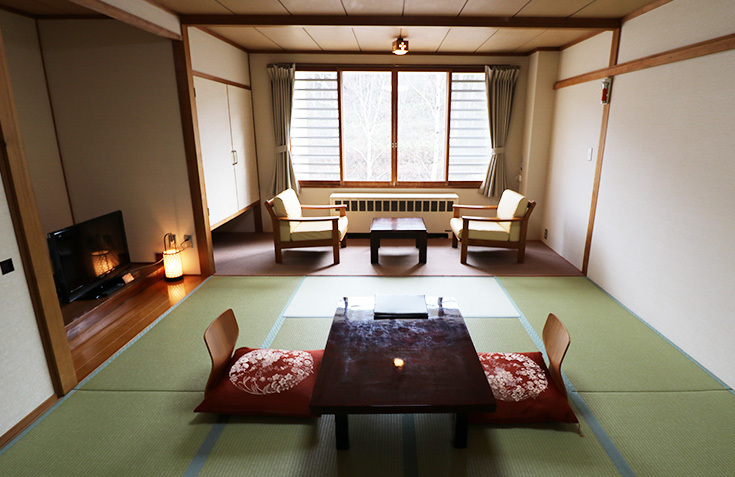 The rooms have a small space at the door where guests take off their shoes, and a veranda by the window where the tea set is placed. 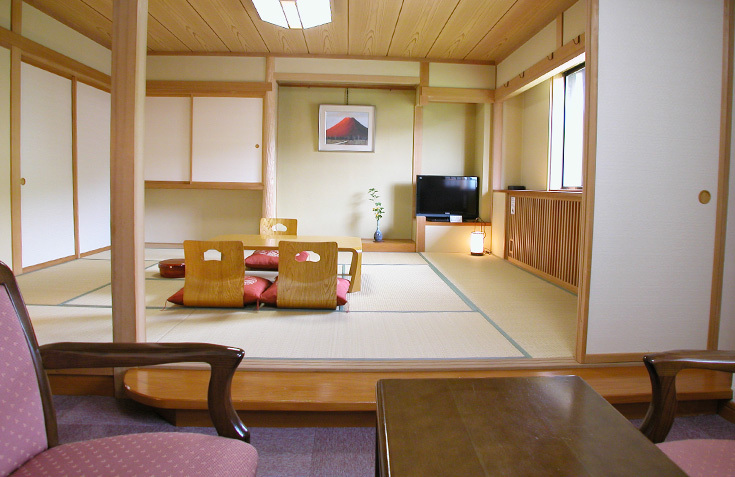 There are rooms available for up to 3 guests. 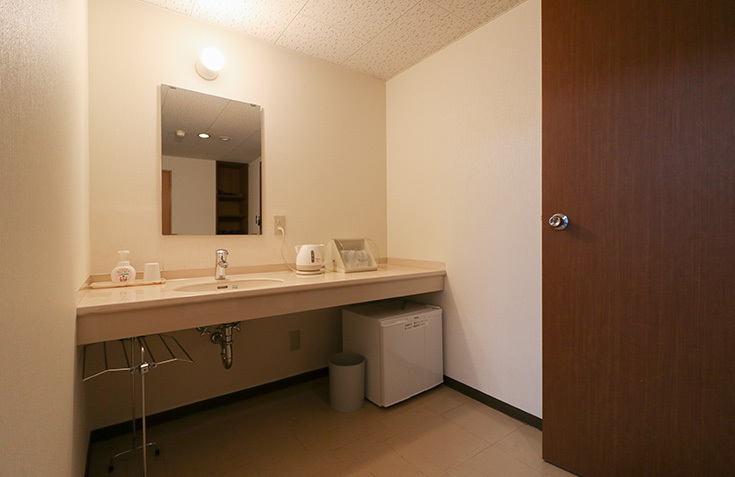 The sizes of the rooms range from 26 to 30 square meters. 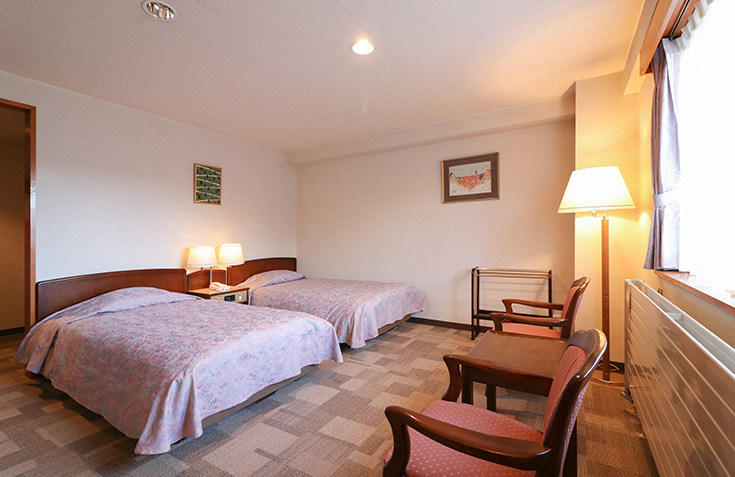 The rooms are equipped 110cm-width twin beds. 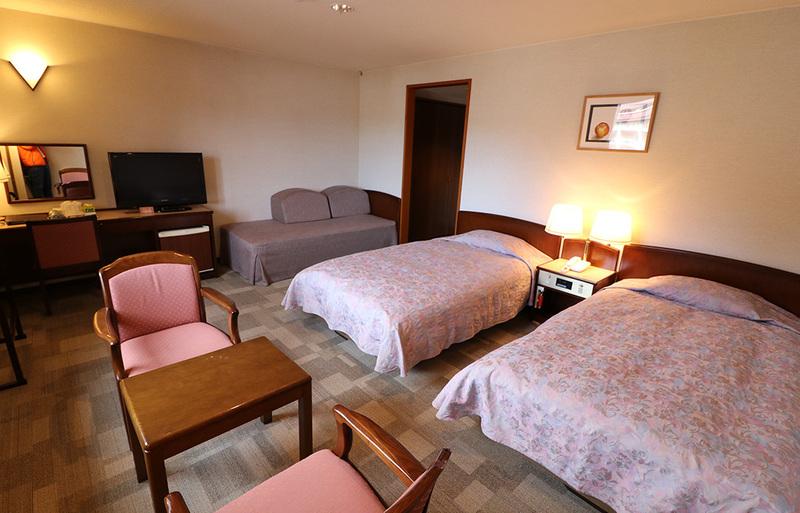 There are 3 types of western style rooms. 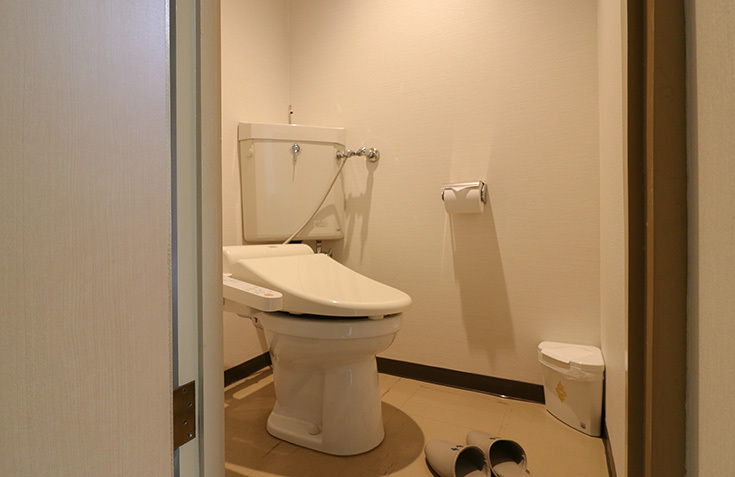 Please leave it to the hotel to select a room type for you. Extra beds are available for 3 guests. We can prepare an extra bed for a party of 3 guests. Please notify when you make a reservation. 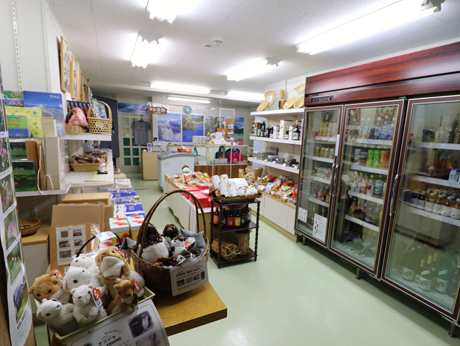 The hotel shop sells souvenirs, snacks and drinks. 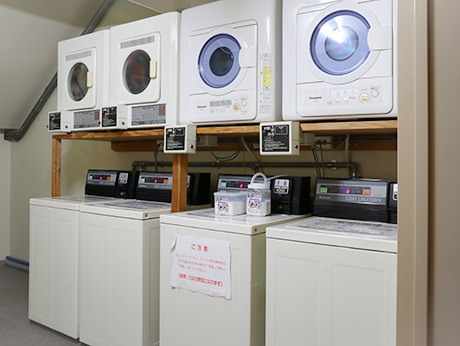 There are 4 coin-operated laundry machines. 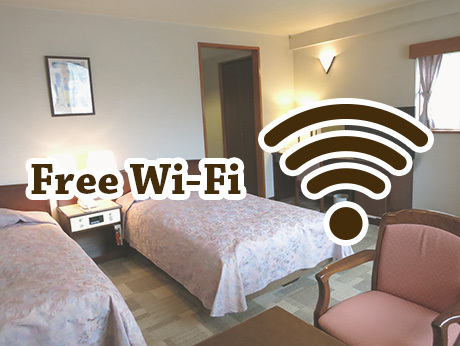 It is very convenient for long-stay guests. 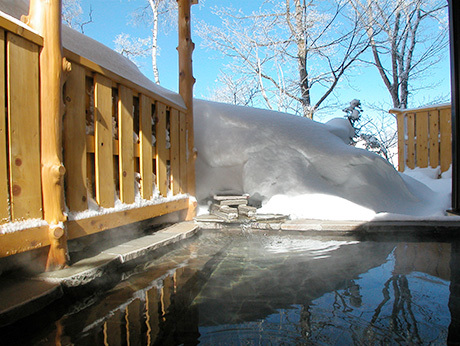 The Open-air baths with natural hot spring water are surrounded by snow in winter. Enjoy a soak under the stars. 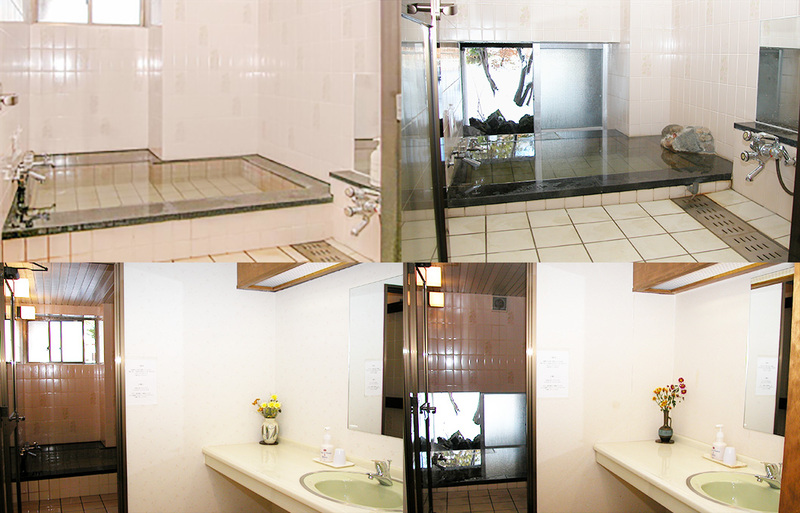 The private baths (family baths) are open for 24 hours without extra charge. 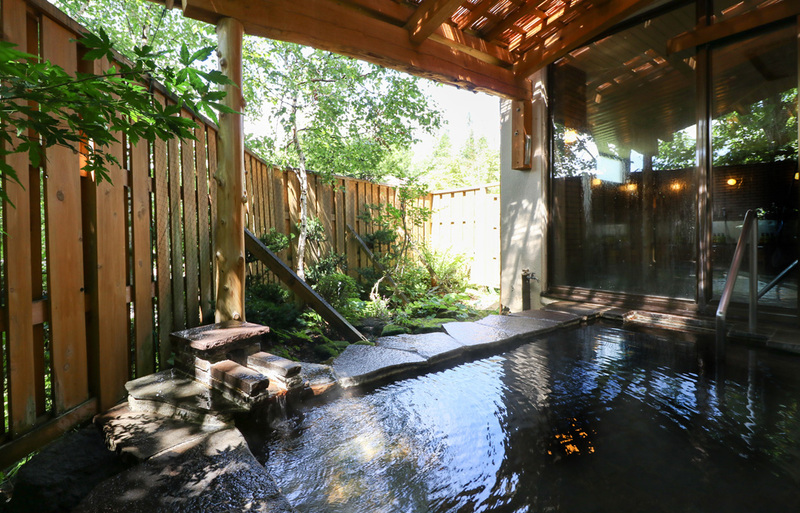 In private baths, hot water is directly extracted from a hot spring. In other baths, hot water is circulated. 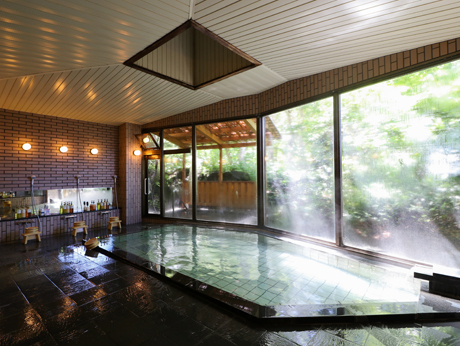 The water is little hot in the outdoor baths and also in winter, so please be careful when you enter the water. 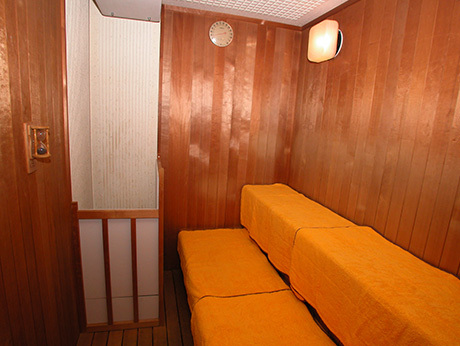 There is also a sauna by the communal baths. 41-42C (indoor bath); 41.5-42.5C (open-air bath). Little higher in winter. Our hot spring is simple sulfur spring. 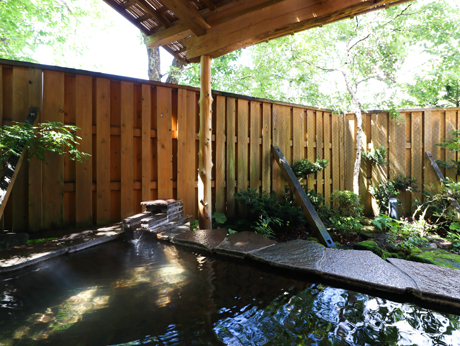 There are sometimes impurities such as hot-spring incrustations in the water. 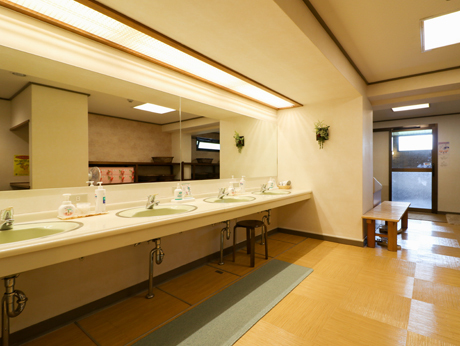 We sometimes use Chlorine chemicals for the private bath for sanitary management. 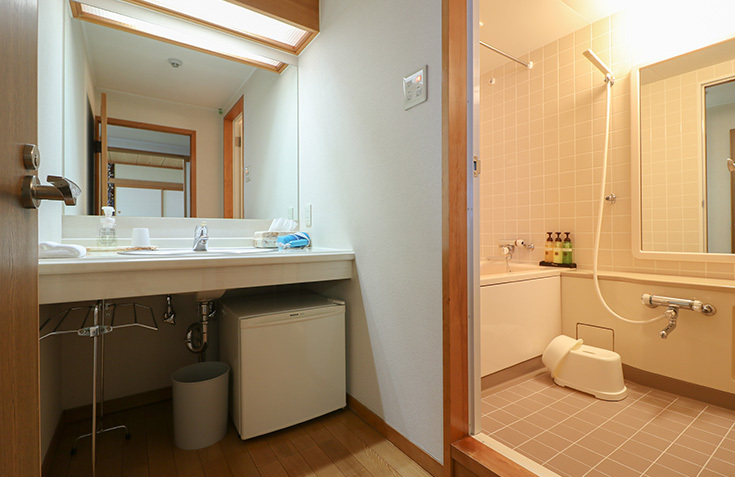 There are 2 showers in each bath. The baths are free of charge for staying guests. The water temperature is not automatically adjusted. Please adjust on your own before you take a shower. 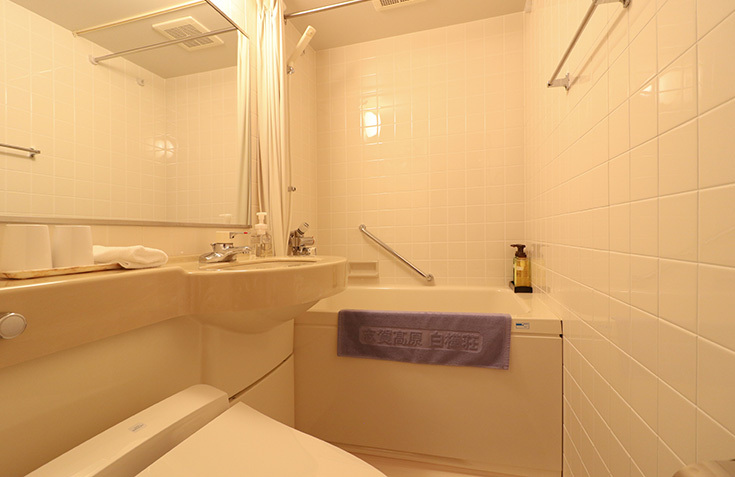 The private bath is available to staying guests only.